The Bungoma County government has been challenged to invest more in curbing the killer cancer disease that has affected many residents. Speaking during the burial of Dr. David Kefa Sakari at Lugulu in Webuye West constituency, Soysambu MCA Stephen Wafula Wamalwa said it is unfortunate that many residents have succumbed to the disease. He called upon residents to have periodic check ups to ascertain their health status saying some end up discovering they are ailing when the disease is at a later stage making things more complicated. His sentiments were echoed by Bungoma Governor Wycliffe Wangamati who said in collaboration with the national government they have to ensure no more lives are lost by investing in the health sector. Moreover, the Bungoma Governor took the opportunity to urge the government to pay cane farmers saying its earlier promise of paying before Christmas could not be fulfilled. He said being a member of the task force put in place by government they decided not to hold more meetings until the government pays farmers. 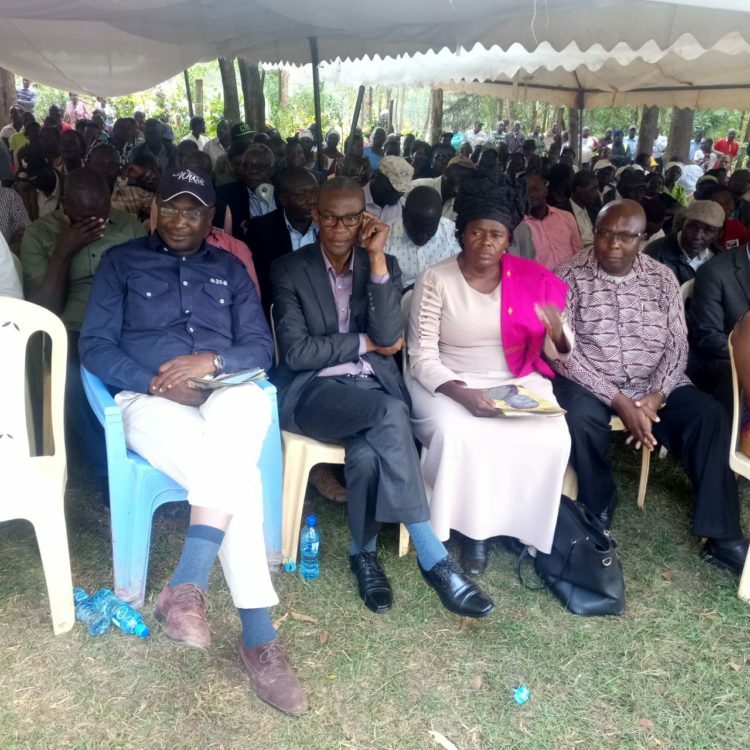 Politics was also aired at the funeral after Tongaren MP David Eseli said Deputy President William Ruto has to retire together with President Kenyatta after his final term in 2022. Webuye West MP Dan Wanyama sharply opposed the proposal saying it is not anchored anywhere in the constitution and politicians should not mislead the public. He said anyone willing to vie for presidency should just prepare himself for a tough battle and should not use uncouth means to gain popularity. Family and friends of the late Dr. David Sakari euologised him as having been a resourceful person in the society and a great rugby player.